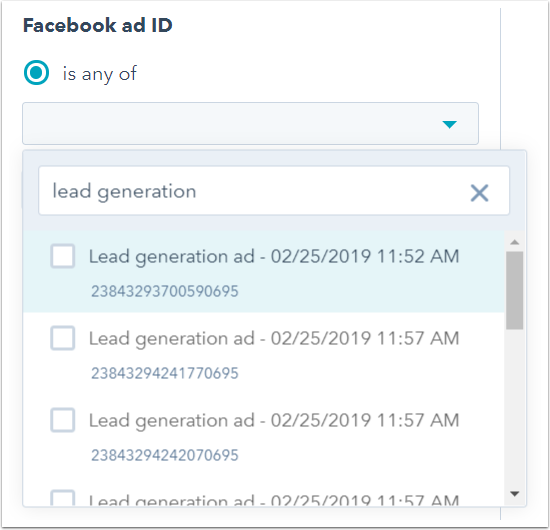 After connecting your Facebook Ads, Google Ads, and LinkedIn Ads accounts to HubSpot, you can segment contacts in lists based on their ads interactions in each network. Each ads interaction filter represents a trackable ad interaction, such as identifying which contacts clicked through to your website from a specific Google Ads campaign. 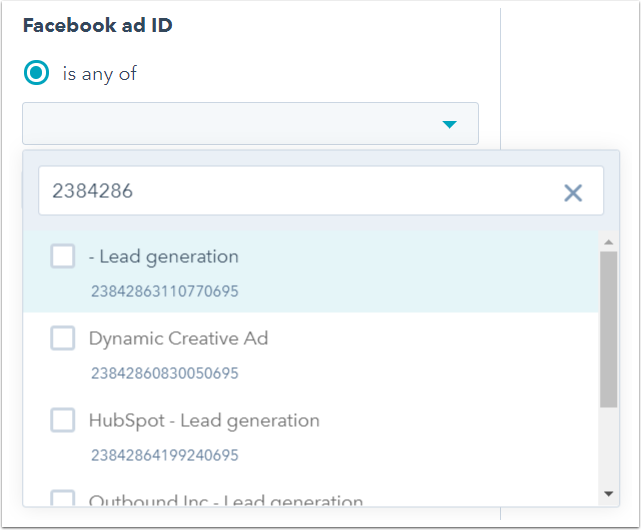 In order to use ads interaction filters, the relevant ads account(s) must be connected to HubSpot, ads auto-tracking must be enabled, and the ad campaign’s destination URL must have the HubSpot tracking code present. The ads interaction filters reflect the information in ads activities on contact timelines. This information is not reflected in any contact properties. In the Filter type section, select Ads interactions. Click the name of an ads interaction filter, then refine the filter accordingly. 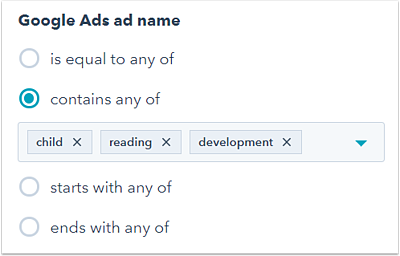 Ads interaction ID filters are searchable based on either ID or the associated entity (ad, ad set, ad group, campaign, campaign group) name. Ads interaction name filters allow partial matches (i.e., contains, starts with, and ends with). 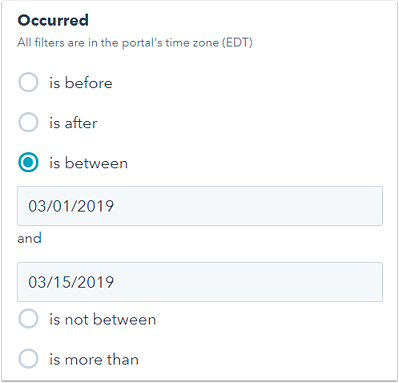 The Occurred ads interaction filter allows you to specify a time period for the ad interaction.